Behavioral Economics - Popularity of this field is in part a triumph of marketing. 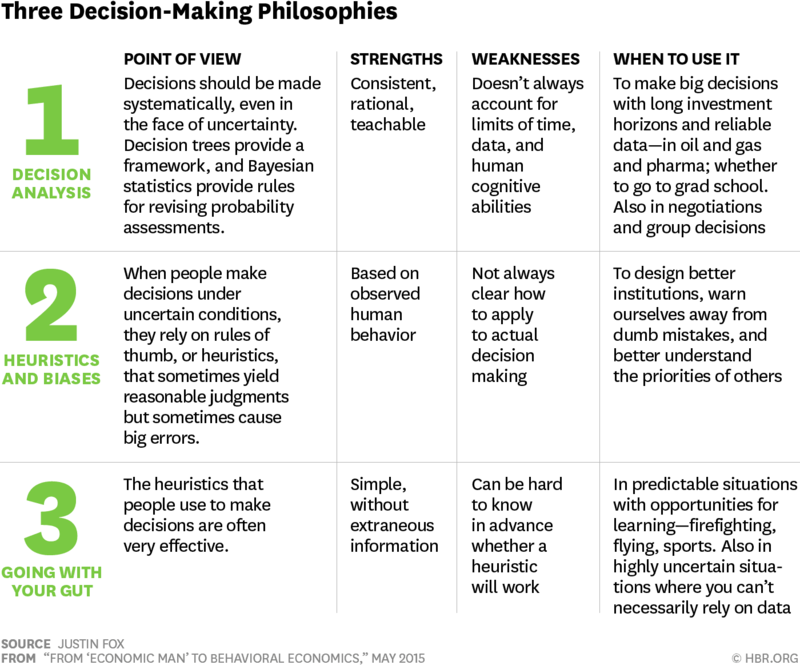 Behavioral Economics – Popularity of this field is in part a triumph of marketing. Behavioral economics seems to have captured the popular imagination. Authors like Michael Lewis write about it in best sellers like “The Undoing Project,” while pioneers of the field like Daniel Kahneman popularize it in books like “Thinking, Fast and Slow.” Its lexicon of “nudging,” “framing bias” and “the endowment effect” has become part of the vernacular of business, finance and policymaking. Even “Crazy Rich Asians,” the summer’s blockbuster romantic comedy, features an explicit nod to “loss aversion,” a key concept in the field. In practice, much of behavioral economics consists in using psychological insights to influence behavior. These interventions tend to be small, often involving subtle changes in how choices are presented: for example, whether you have to “opt in” to a 401(k) savings planversus having to “opt out.” In this respect, behavioral economics can be thought of as endorsing the outsize benefits of psychological “tricks,” rather than as calling for more fundamental behavioral or policy change. Consider loss aversion. This is the notion that losses have a bigger psychological impact than gains do — that losing $5, for example, feels worse than gaining $5 feels good. Behavioral economists point to loss aversion as a psychological glitch that explains a lot of puzzling human conduct. But in an article published this year, the psychologist Derek D. Rucker and I contend that the behaviors most commonly attributed to loss aversion are a result of other causes. For example, in a classic experiment, participants who were given a mug demanded, on average, about $7 to sell it, whereas participants who were not given a mug were willing to pay, on average, about $3 to acquire one. This finding has been interpreted by behavioral economists as evidence for loss aversion: The loss of the mug was anticipated to be more painful than its gain was anticipated to be pleasurable. But Dr. Rucker and I note that there is an alternative explanation: The participants may not have had a clearly defined idea of what the mug was worth to them. If that was the case, there was a range of prices for the mug ($4 to $6) that left the participants disinclined to either buy or sell it, and therefore mug owners and non-owners maintained the status quo out of inertia. Only a relatively high price ($7 and up) offered a meaningful incentive for an owner to bother parting with the mug; correspondingly, only a relatively low price ($3 or below) offered a meaningful incentive for a non-owner to bother acquiring the mug. In experiments of our own, we were able to tease apart these two alternatives, and we found that the evidence was more consistent with the “inertia” explanation. Dr. Thaler has dismissed our argument as a “minor point about terminology,” since the deviant behaviors attributed to loss aversion occur regardless of the cause. But a different account for why a behavior occurs is not a minor terminological difference; it is a major explanatory difference. Only if we understand why a behavior occurs can we create generalizable knowledge, the goal of science. The lack of sufficient attention to understanding why behavior occurs matters in practical contexts, too. For example, advertisers influenced by the idea of loss aversion have focused on framing their messages in terms of loss (“you will lose out by not buying our product”) rather than in terms of gain. But such framing techniques have been shown to be ineffective: A meta-analysis of 93 studies found “no statistically significant differences” in the persuasive power of public-health messages when framed in terms of loss as opposed to gain. The effects of this kind of intervention are often small. Recent studies have found that providing households with information on how their electricity usage compared to that of other households — a classic “nudge” — reduced electricity consumption by only 2 percent or less. There is nothing wrong with achieving small victories with minor interventions. The worry, however, is that the perceived simplicity and efficacy of such tactics will distract decision makers from more substantive efforts — for example, reducing electricity consumption by taxing it more heavily or investing in renewable energy resources. It is great that behavioral economics is receiving its due; the field has contributed significantly to our understanding of ourselves. But in all the excitement, it’s important to keep an eye on its limits. David Gal is a professor of marketing at the University of Illinois at Chicago.